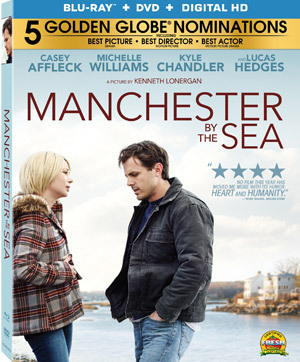 Lionsgate Home Entertainment has just unveiled details about the upcoming release of Manchester by the Sea, bringing the critically acclaimed drama to Blu-Ray Disc and DVD in late February. Casey Affleck heads a powerhouse cast in this acclaimed and deeply moving film from award-winning writer-director Kenneth Lonergan. 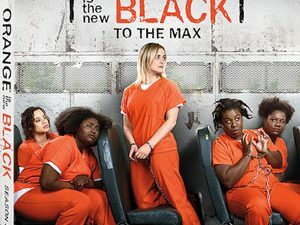 After a solitary Boston janitor (Affleck) unexpectedly becomes the sole guardian of his 16-year-old nephew, he must come to terms with a past that separated him from his wife (Michelle Williams) and his hometown, as uncle and nephew unite for an unforgettable journey of love, community, sacrifice, and hope. Aside from the movie itself, the release will also include a selection Deleted Scenes, along with a Conversation with Director/Writer Kenneth Lonergan and the Featurette ”Emotional Lives: The Making of Manchester by the Sea”. Look for the movie in stores on February 27 for $39.99 as a Blu-Ray combo and $29.95 on DVD.